South Adelaide Football Club Chief Executive Officer, Wayne Peters has announced his intention to retire from his position effective March 2016. Mr Peters, who was appointed as CEO in December 2014, advised the South Adelaide Board of his plan to retire at its February meeting. "My time at the Club has been a rewarding experience and I see the current playing group as a cohesive and focused team, who I believe will perform well in the coming season," said Mr Peters. "When I originally agreed to come out of retirement to assist the Club it was always going to be a short term proposition. With the imminent sale of our family business it is time to look at personal goals. "I am confident in the future direction of the Club on and off the field and believe the initiatives and processes developed during my time as CEO will continue to make a positive impact." The South Adelaide Football Club would like to thank Mr Peters for his contribution to the Club as CEO and wish him and wife Cathie, who have also been long time sponsors of the Panthers, the best in their future plans. 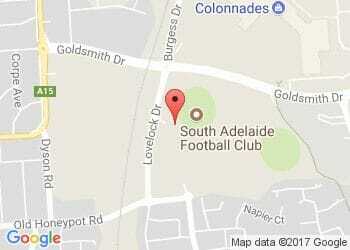 General Manager Football, Neill Sharpe has been appointed South Adelaide's interim CEO until further notice.